Celebrate cricket this season with IPL and also with Swiggy. 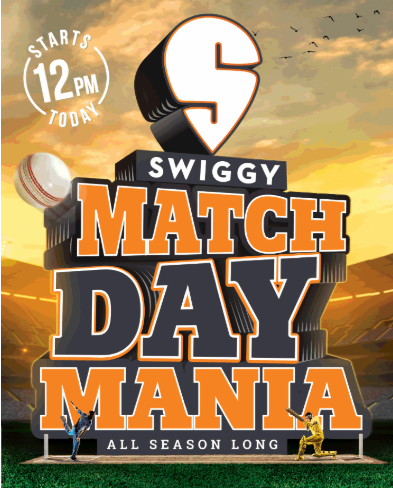 Swiggy’s Match Day Mania is back. Now get upto 60% off (Upto Rs.60)+ extra 10% off (Upto Rs.70) for Super users on Top restaurants only at Swiggy. Start ordering your favorite dish and save more !! 7. Select the mode of payment and complete your payment.